My partner and I are taking an extended overseas trip, and trying to fit in as much walking as possible, from Patagonia to Nepal and various places in between! I have motivation issues at times, but would like to post a few trip reports here, both as an aid to memory in the future and as help/inspiration to others. Please feel free to ask any and all questions! Apologies if I write too much/too little/unintelligibly - I don't get many chances to write extensively anymore, so I'm likely a little rusty. Chances are most of the reports will end up more photos than writing anyway. The Los Dientes de Navarino (The Teeth of Navarino) are located on Isla Navarino, located in the extreme south of Chile on the southern side of the Beagle Channel. The circuit is ~50km sans sidetrips and is described in various places on the net and in books. Some people name it the most southerly major walk in the world, located as it is at around 56 degrees south. For anyone who has done much walking in Tasmania, it is a comfortable combination of fagus, cushion plant and occasional mud, mixed with some very non-Tasmanian elements. There is a fantastic guide booklet produced by the Chilean government with more than enough information (including regular compass bearings!) to make the walk safely. Somewhat ironically, it is widely available in Punta Arenas, but almost impossible to find in Puerto Williams. We borrowed a copy from a local tour operator, which we had to return once back in town. The local tourist information office presumably would have them available, if the lady running it had not run off with a foreign sailor some time ago, yet to be replaced it seems! Certainly wasn't open while we were there anyway. 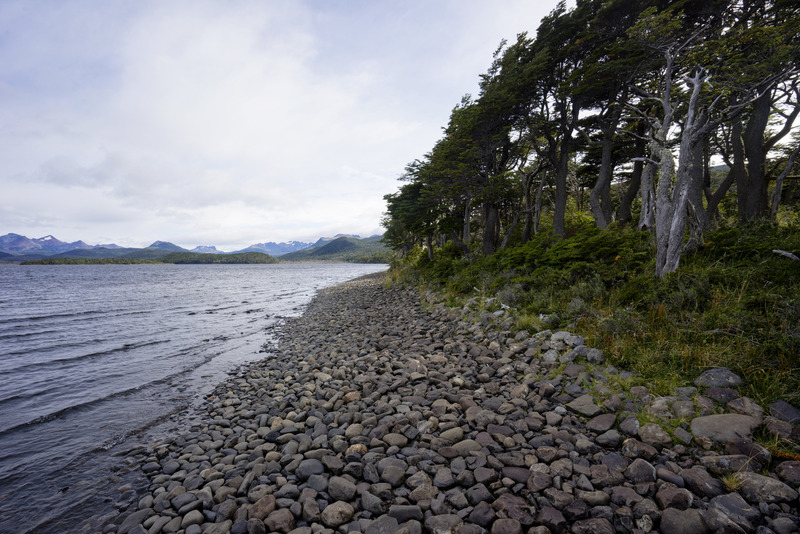 As do many, we took a boat from nearby Ushuaia, in Argentina, to Isla Navarino. We used Onashaga Expeditions, and the trip cost us $120USD each, if I recall correctly. It involves a 30min or so boat crossing and a significantly longer bus ride to the main settlement of Puerto Williams, population ~1800. There were plenty of operators offering the trip from the waterfront of Ushuaia, with slightly varying prices. 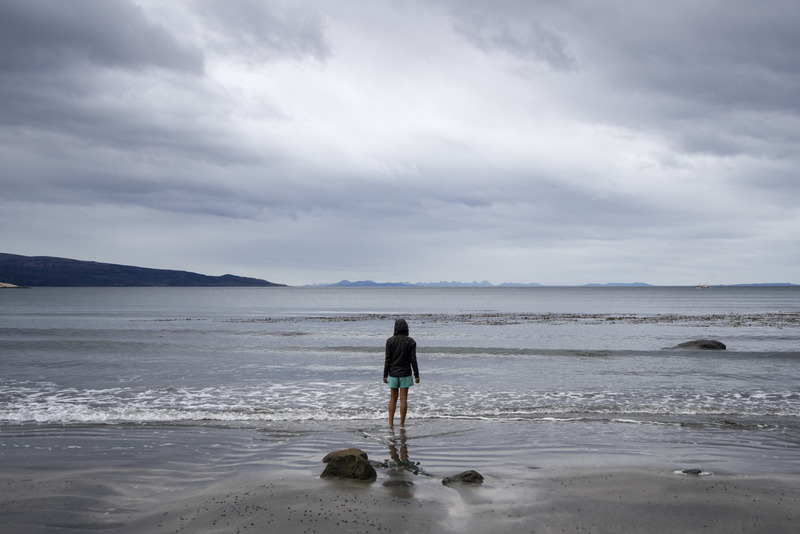 One can also take a ferry from Punta Arenas (32hrs on the boat, very scenic, much more expensive) or fly from Punta Arenas (cheaper than the ferry, availability varies depending on day of the week). We left for the walk the day after arriving in Puerto Williams after stocking up (I recommend Simon y Simon supermarket) and registering with the local police. It's a road walk out of town at first until arriving at a set of waterfalls, where the real track begins. 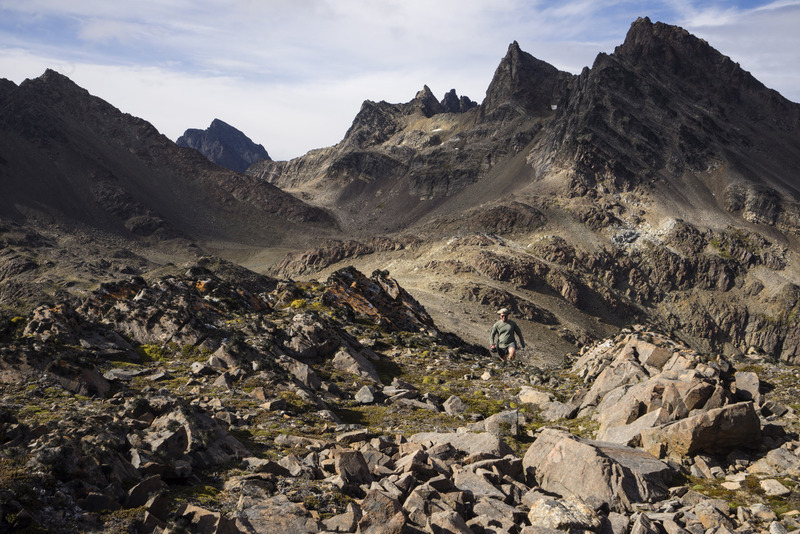 An extended ascent follows to Cerro Bandero (Flag Mountain), a hill visible from Puerto Williams with, surprise surprise, a large Chilean flag. Not sure I've ever seen a country so seemingly patriotic... Chilean flags are everywhere here! A small pond on the northern side of the laguna, which is just visible in the middle of the photo. We would walk past the peaks in the background the following day. A still night by the Laguna saw us with a tent dripping with condensation the following morning - such is life! 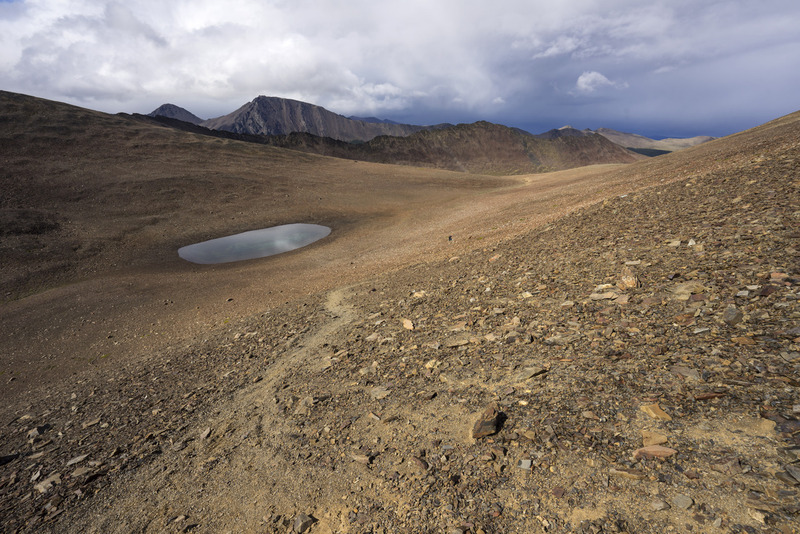 After allowing it to dry for a little while, we packed up and headed around the edge of the lake, up past the waterfall and into a lovely little valley which led us up onto some barren scree slopes under impressively sharp looking peaks. We made a quick detour along one of the ridges here for views back over the campsite and the Beagle Channel (well worth it) before continuing on to Paso Australia. Not really much of a pass to speak of, it's just a bit of a saddle reached before descending to traverse above Laguna Paso. After making it around the corner past the laguna, we arrived at a track junction, with the option to continue along the circuit or to head to Lago Windhond, a little further south. We chose the sidetrip, which looked great in all the other reports, and came highly recommended for views, particularly from the summit of Monte Bettinelli. Which of course was where we had our worst weather of the trip, an hour or so of gusty wind and driving, cold rain. Such is life, I suppose. A pleasant descent over open scree past Laguna Bettinelli, followed by a steep-at-times descent through some lovely forest, a quick river crossing on some fallen logs and a seemingly interminable stroll across a cushion plant meadow had us arriving at Cabana Charles, near the shores of Lago Windhond. A long day, but beautiful. 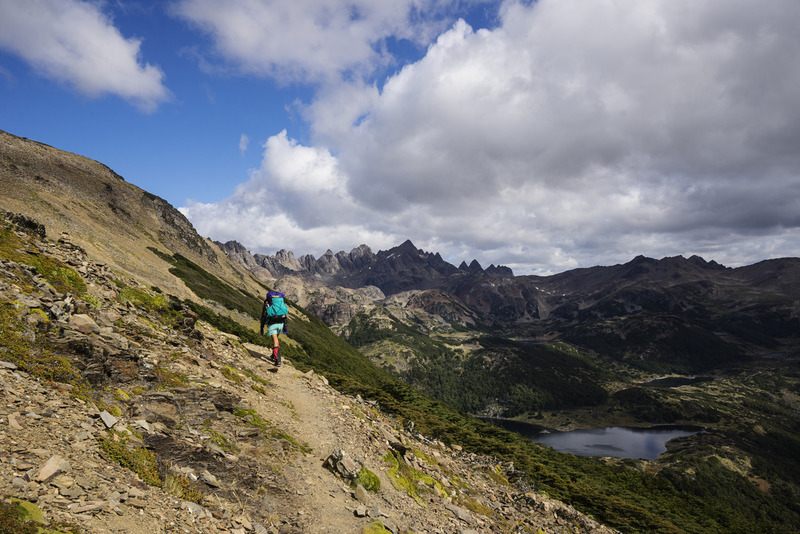 Headed out of the small valley above Laguna del Salto. Heading along the ridge on our short detour, Paso Australia in sun in the middle left in the background. Views to the east from our sidetrip. Headed down the other side of Monte Bettinelli, weather receding into the distance. Emerging from the forest at the bottom of the descent. Cabana Charles, cameo from the Scarp 2. The following day we made a daytrip down to Bahia Windhond (Windhond bay), with great views down to Cabo de Hornos (Cape Horn). Pretty simple sidetrip - find the eastern shore of the lake and follow it until reaching a cairned pad heading southeast, which fades in and out but leads you generally towards a river crossing, and eventually the bay. Took us about 3.5hrs each way, if I recally correctly. There is a pad in the forest at the start when coming from Cabana Charles, but we found it better to just walk on the beach - much more open, way fewer downed trees. Lakeside walking, a little slippery at times, but much better than the forest alternative. True to form, we managed to find what scrub was available. This was taken just before we decided to jump down into a gully full of head-and-above height scrub. Didn't last long though, and gave us a nice, short access to the beach. Views from Bahia Windhond to Cape Horn. A pretty cool thing to see. 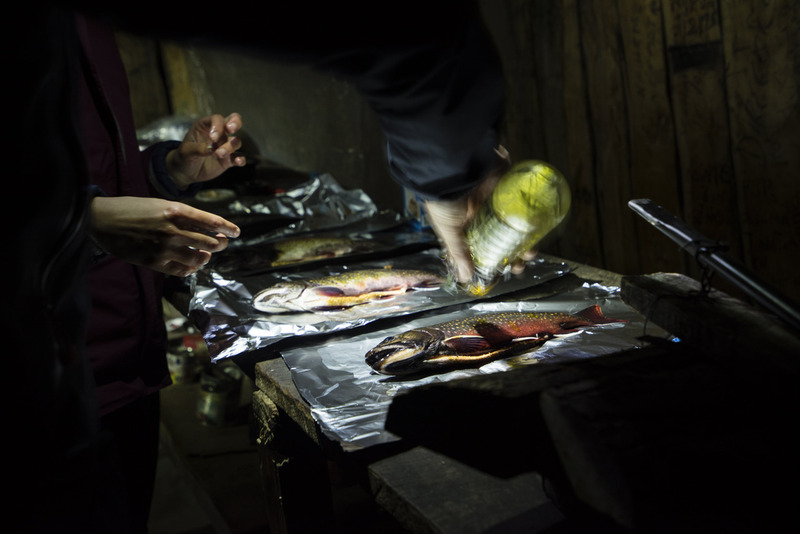 Came back to camp to find friends we had made had had some luck fishing the lake - 5 decent sized salmon, cooked on top of the stove in some foil. Tasted good! The lake and surrounds are apparently teeming with fish, and indeed we had heard about another Australian who had recently spent 10 weeks in and around this area, living off fish and beavers! More power to him, sounds like a good life. 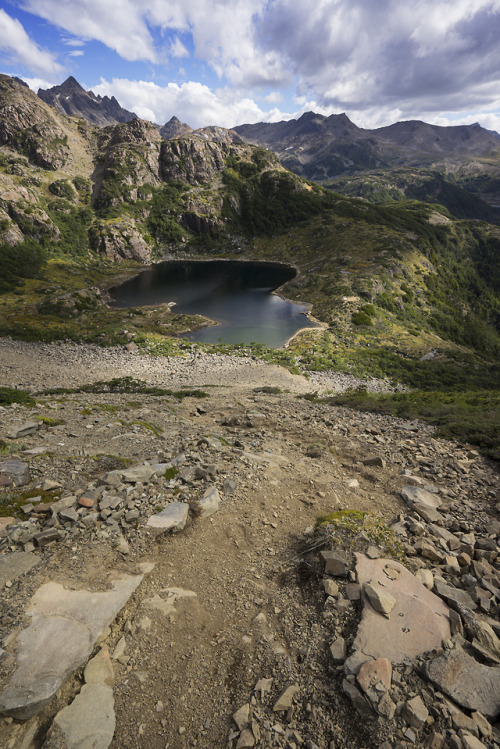 The next day had us headed back up over Monte Bettinelli (with clouds obscuring much of the view, of course) to rejoin the circuit, followed by some pleasant walking around some lovely lakes before eventually arriving at camp at Laguna Escondida (hidden lake). We passed a number of areas this day where the destruction caused by beavers was very evident, with lots of deads trees and flooded basins. Beavers were introduced some time ago in an effort to create a fur trade, but whilst that effort was not succesful, the beavers certainly were. Their influence is obvious throughout much of the walk. Don't worry though, you can get your own back on them - have a go at beaver pizza at the local pizzeria in Puerto Williams. Sadly, it was sold out when we were there, and the beaver hunter was apparently away, or sick, or for whatever reason not busy catching beavers! Headed back to the circuit from Lago Windhond, forested hill to be ascended visible in the middle right. 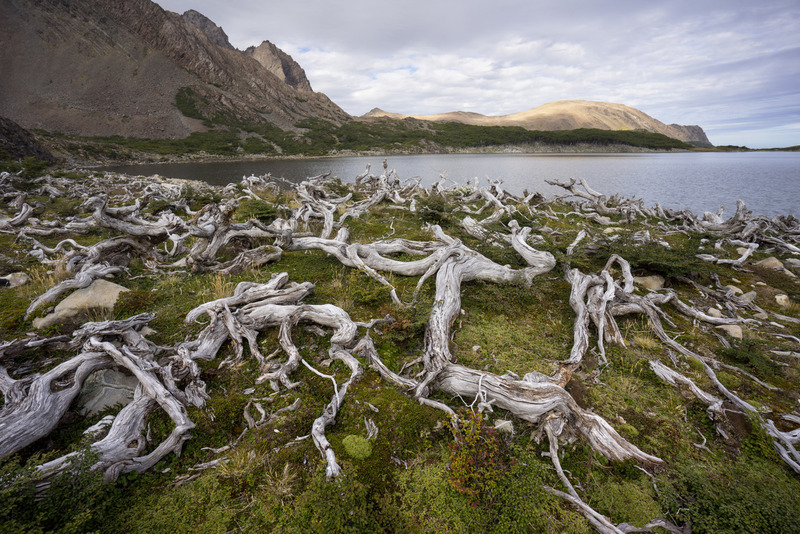 Dead trees by Laguna Los Dientes. 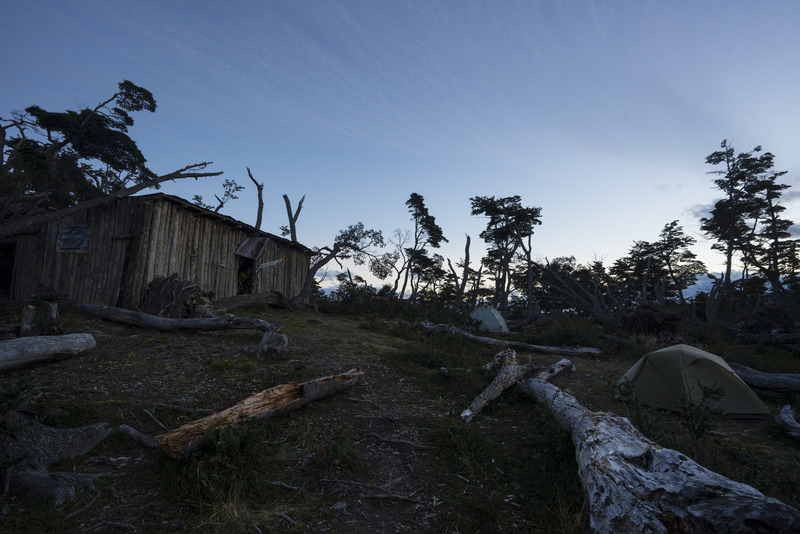 We had a pretty windy night and interrupted sleep at Laguna Escondida, but it was still a beautiful campsite. It was made even better when we were given an extra lunch by a not-as-hungry-as-he-thought German fellow. Score! Apparently Aconcagua had given me a serious case of the hiker munchies, and I was making a habit of waking up in the middle of the night to scoff half of the following days' worth of nuts. This, added to the constant complaints about being hungry, did not seem to be endearing me to my walking companions. Needless to say, we took more food on the next walk. From Laguna Escondida, we headed to just past Laguna Los Guanacos (Lake of the male guanacos, not to be confused with Laguna Las Guanacos, lake of the female guanacos). Leaving the lake, we made our undulating way through various bits of forest and open grassy valley before eventually ascending to Paso Ventarron (gale pass), which thankfully didn't quite live up its name. 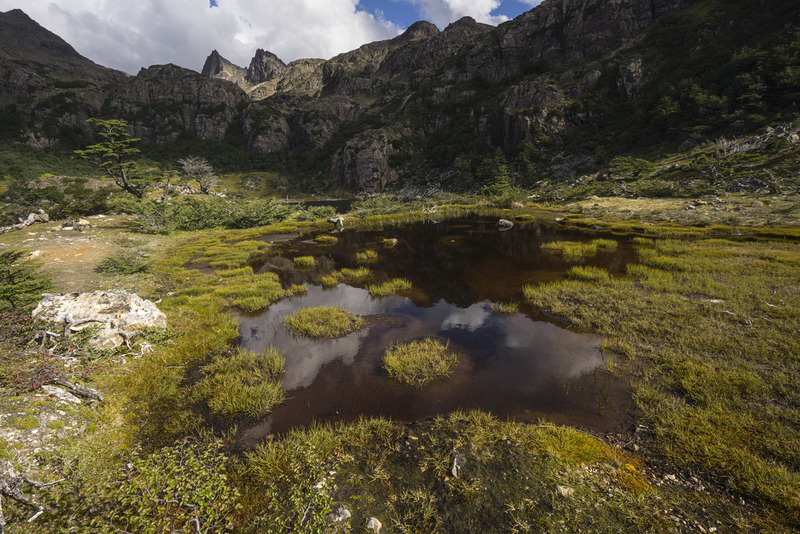 A descending traverse with stunning views to the west was followed by an equally stunning walk amongst various lakes and tarns, eventually leading to lunch somewhere near the shore of Laguna Martillo, under the watch of the fantastic Cerro Clem. This mountain was named for Clem Lindenmayer, the Australian fellow who apparently first walked or proposed this circuit, back in the late 90s or early 00s as I understand it. Onya Clem! After lunching here, we made our way through the beautiful valley to the beginning of the ascent to Paso Virginia, our last pass and the highest point on the normal circuit (Monte Bettinelli is slightly higher). 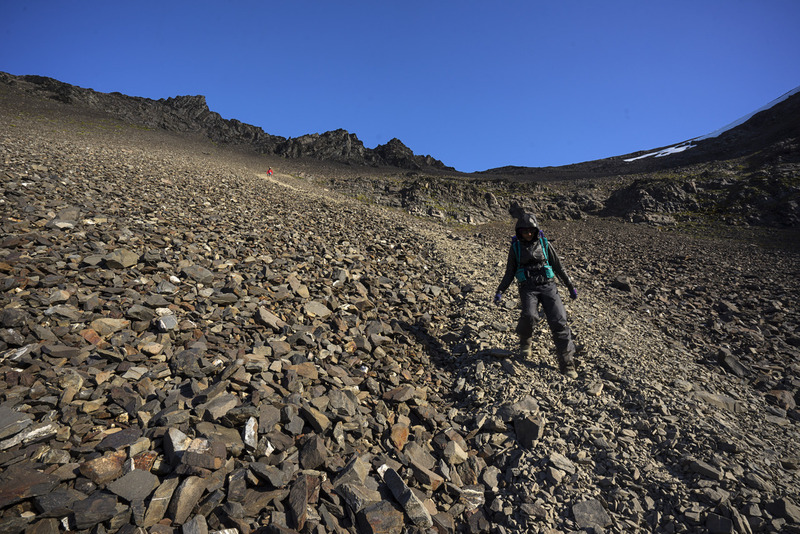 It was a little muddy, and the track a little hard to find at times, but after a steady plod we made it to the top, to be met by fantastic views back across the valley, and eventually to fantastic views across the Lagunas Guanacos and the Beagle Channel. Fantastic views were certainly a recurring theme of this walk! And I'm sure the weather is always like this, too. Grassy valley on the way towards Paso Ventarron. A nice little cascade we came across. View back towards the valley while nearing the top of Paso Virginia. Cerro Clem and his cirque of friends the obvious mountains, endless possibilities for further trips also visible. Cerro Clem and friends. I really liked this little range, it was beautiful! 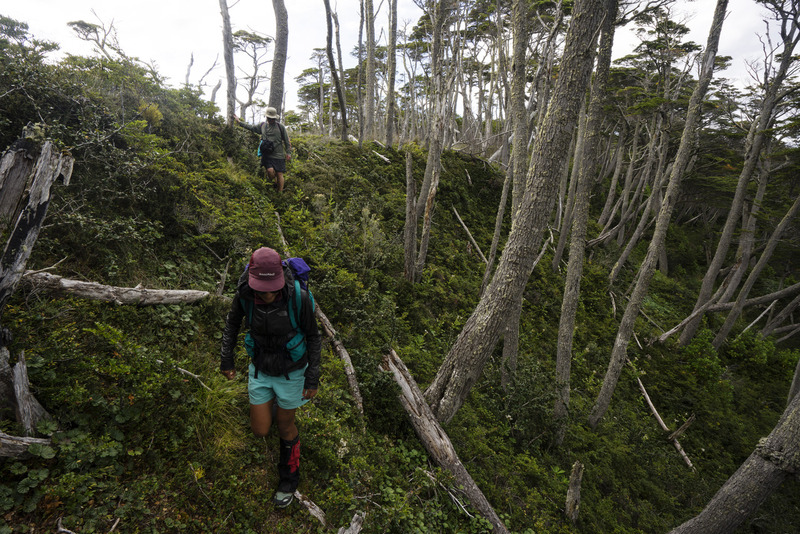 Starting the descent to Laguna Los Guanacos - undoubtedly the sketchiest part of the trip. 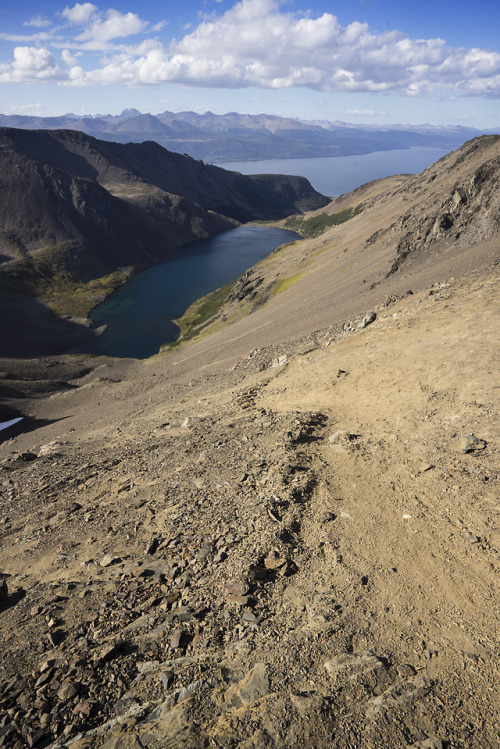 The first 10 metres or so are a fine layer of loose gravel on top of hard packed dirt, with a long, steep slope below. Just needs to be taken slowly and carefully. Most of the rest of the slope was lots of fun - we put our Aconcagua-honed scree-skiing skills to good use here. After spending the night at some nice sheltered sites in the forest beyond Los Guanacos, we trundled on down to the road the next morning and managed to score a lift back into town. Sans hitch, it's a 2 hour or so walk back along the road to Puerto Williams, passing an abandoned cannery fairly early on. All in all, 5 nights and 6 days of great, varied walking, lovely scenery, good company and fantastic weather. Definitely one to put on the list for anybody thinking of heading to this area. 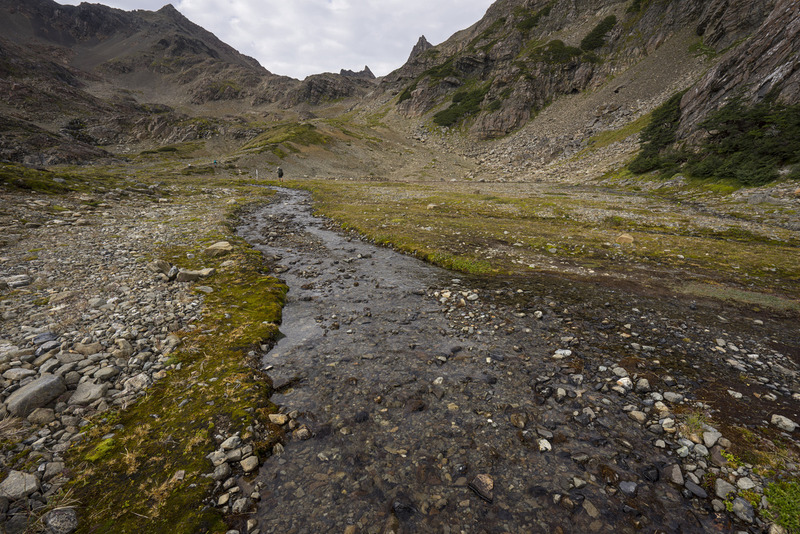 I thought it was a better walk than Torres del Paine, and certainly far less crowded. The local police (Carabineros) said they get around 1000 people/year, plus or minus. For better or worse, this number will likely increase, as apparently the Chilean government is pushing this walk as an alternative to TdP in an effort to reduce the overcrowding issues there. Given the remoteness and access issues, I don't see it ever really taking off to that scale, but I certainly see it becoming more busy. One can only help that sufficient track work and infrastructure come with the increase in numbers. Anyhow, congratulations if you made it to the end, and thanks for reading. After Isla Navarino, we took the 32hr ferry to Punta Arenas (well worth the trip, though apparently better in the other direction) and then headed on to Torres del Paine to tackle the Q. You may be subjected to a trip report of that one in the near future too! 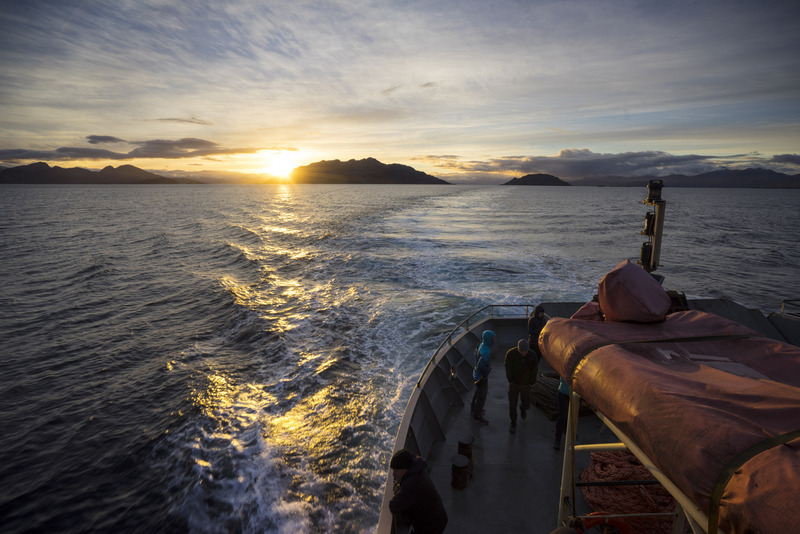 Sunrise over the many islands of Chilean Patagonia en route to Punta Arenas and more walking. Great photo's. It looks like a great part of the world and it looks like you were blessed with fantastic weather. I've heard it gets crazy windy. The W track is very high on our to do list and it's not too long so I might steal your idea and tag this one on when we get the chance. We just got back from Nepal and the Annapurna Circuit last week. It's one of the best hiking holidays I've had by far. I've definitely fallen in love with Nepal, and the trekking lifestyle over there is fantastic. 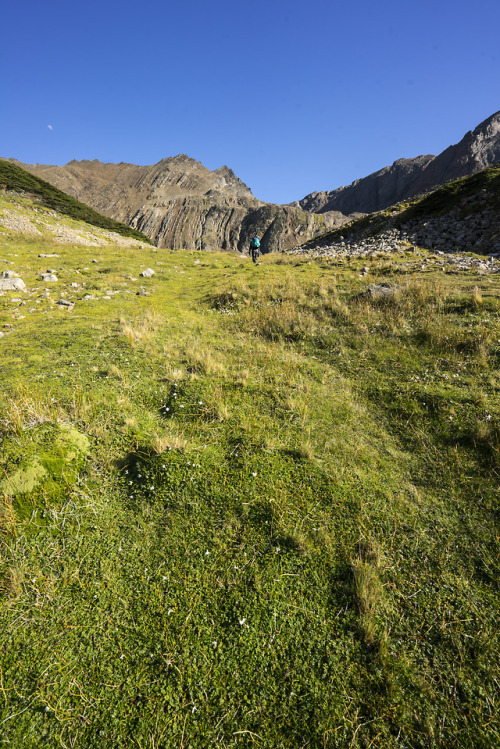 Enjoy the extended trekking holiday. Keep those photo's coming! Glad to hear you enjoyed the Annapurna Circuit, that's going to be our final walk! Doing it with mum, so it might be a little more luxurious and reasonably paced Nepal is definitely a special place, and we're both super excited to get back there (previously have walked to Gokyo and back). Nice read bigbird, and lovely photos. 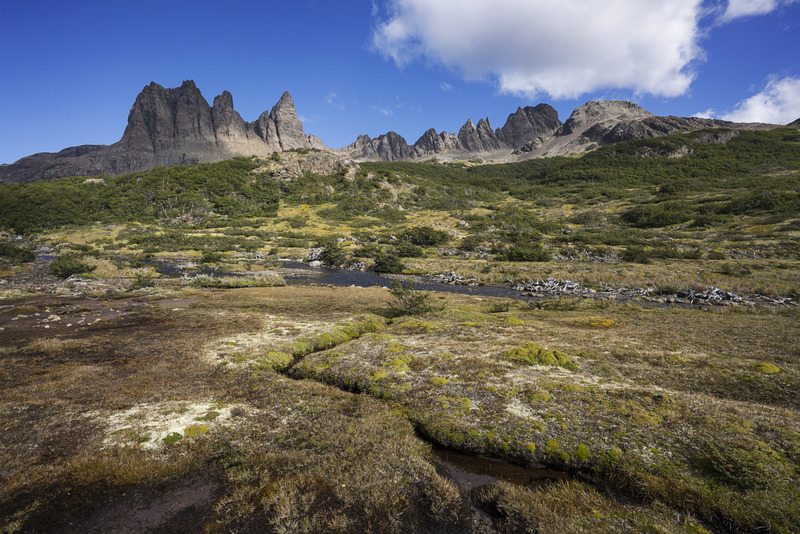 The Dientes circuit is definitely on my list of walks TBC when we eventually get around to our Patagonia trip! I never knew you could get down to the coast on the southern side so there you go. 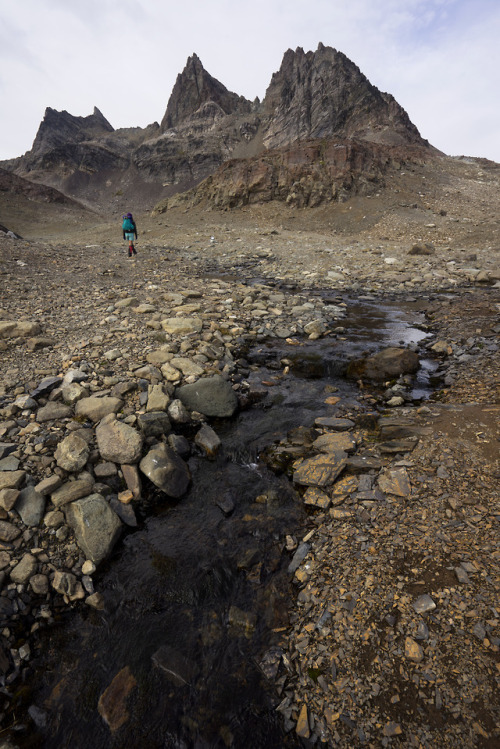 Would be interested to hear about the mud on the walks in Patagonia, and the equipment you have taken compared to a walk in Tassie. Geevesy wrote: Nice read bigbird, and lovely photos. 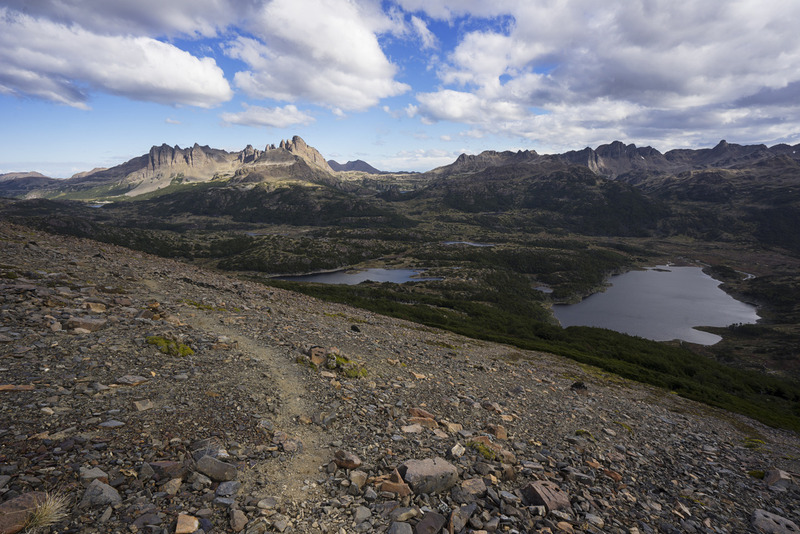 The Dientes circuit is definitely on my list of walks TBC when we eventually get around to our Patagonia trip! I never knew you could get down to the coast on the southern side so there you go. Hey mate, thanks for the comment! Yeah, Isla Navarino is a great place. 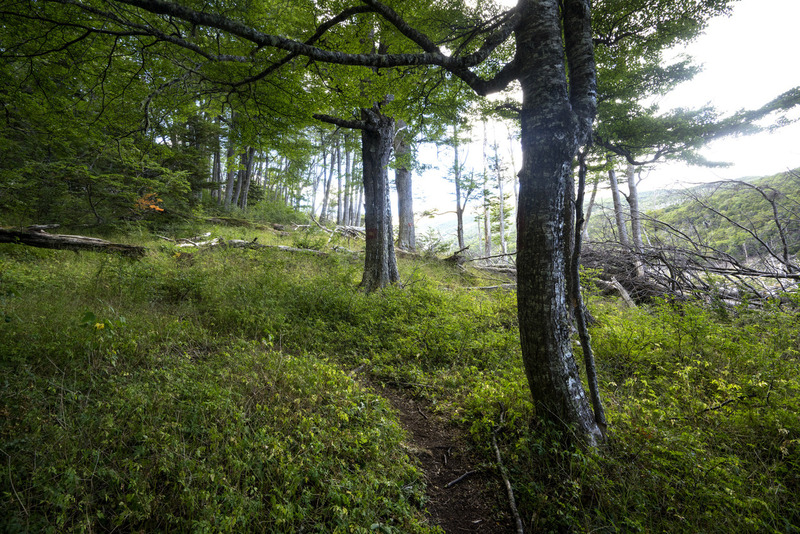 The possibilities for other walks are endless. There is one other walk on the western side of the island, to an old radio station or similar from the look of it, haven't read much about it, but I'm sure it would be sweet. Also, if you ever get down there, keep an eye on the time of the month as they offer a free return ferry ride to Puerto Toro on the eastern side of the island on the last Sunday or every month! Or at least I think it was the last Sunday... Probably worth confirming before you get there. Not really much mud on the walks. Always a bit, but never really anything above low calf height, at least not that I found. I ended up taking a Scarp 2 with crossing poles, which worked reasonably well, but I have found doesn't play nice when pitching with rocks, which was not an infequent thing with the walks we did. Specifically, the movement of the guy lines in the wind would wear against rocks used to pitch the corners, and eventually actually snapped a couple of them. Probably my fault for not pitching it correctly, but something that I wan't to try out a bit more when I replace the lines. Have sent that tent home now, and am planning to use a Triplex for the rest of the trip. Unless we end up buying a pyramid... FWIW, if I were to do it again, I would just bring a mid of some description. Currently the Locus Gear Khafra takes my fancy, but they're all much of a muchness I'm sure. Other than that, nothing terribly out of the ordinary really. Did make a point of getting a bunch of lighter gear for this trip, a lot of which will just transfer over to Tassie kit. Can get away with a few lighter items here (raincoat/rainpants first to come to mind), as there isn't much in the way of scrub, but most of it is much the same. Took a bag rated -9C "typical operating temperature" (whatever that means), and wasn't sad about it. Got down to -6C or thereabouts when we were at Cerro Castillo (highly recommended), and I was fine, though not toasty. The bag is a PHD Hispar 400K, for reference. Wore some OR Croc gaiters. Wore Altra Lone Peak mids, though if I did it again, would just bring my Scarpas. Not that I was particularly bothered in the Altras, just that they wore out sooner than I would have liked. Definitely enjoyed having some sandals for river crossings (we took Shamma Warriors, but anything decent would work). If you've got any more specific questions, feel free to ask! Yeah, definitely didn't find it to be too bad. 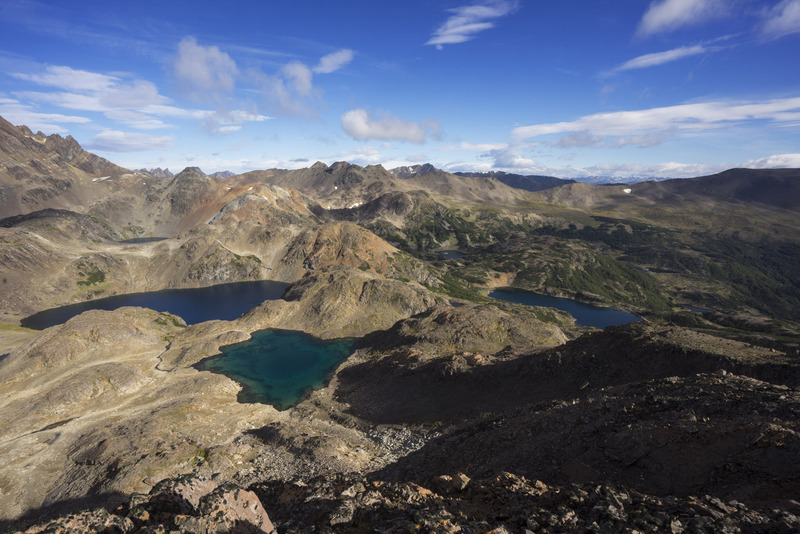 A little on the way to Lago Windhond and a little on the start of the climb to Paso Virginia are the only bits that really stand out in my memory. 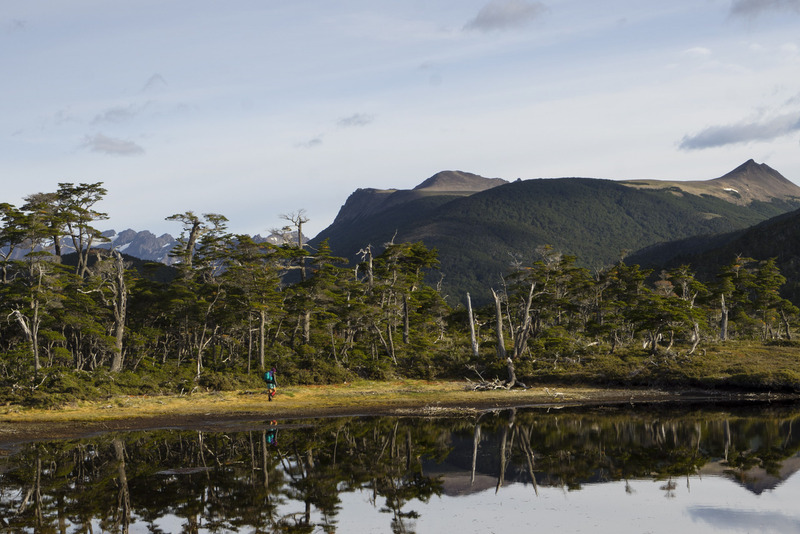 By our perfect patagonian weather, do you mean you're a local? If so, awesome! lol - Not a Patagonian native. 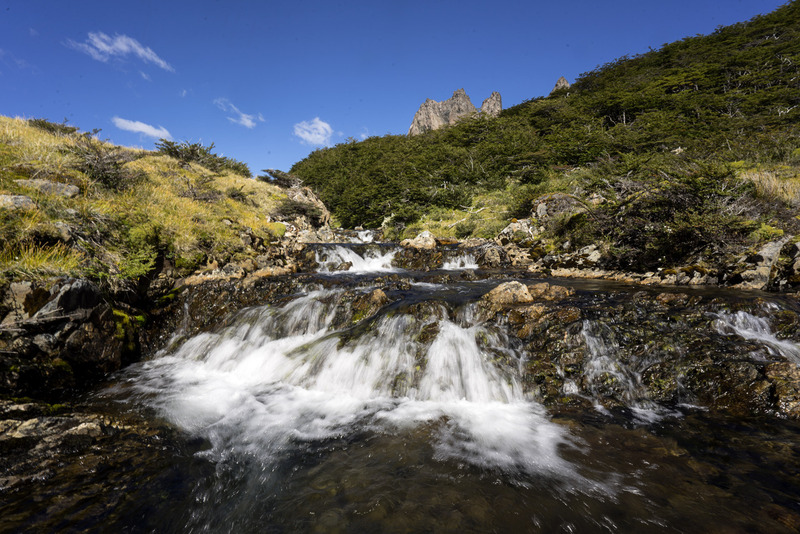 We have done 3 trips there so far though and "another perfect day in Patagonia" is just a joke we have had going for a while because we have always had pretty good weather despite the common predictions of how horrible the weather can be. FYI We had the company of three friendly dogs for the whole first days walk. They apparently regularly followed hikers in for the first night and slept at the first campsite before heading back. Wondering if you came across them. PS Where is the snow?